Have you ever tried a Pina Colada Smoothie? But if you like those kinds of pina coladas, you’re in for a real treat with this pina colada fruit shake recipe! Why? It’s actually good for you! So ditch the alcohol and give this non alcoholic pina colada frozen drink a try today! Wondering just why this pina colada drinnk is so much better than the pina colada frozen drinks you buy at the pool bar? Let’s say you have 8 ounces (1 cup) of pina colada. If you order it at the pool bar, it will likely be even more because those cups are big! 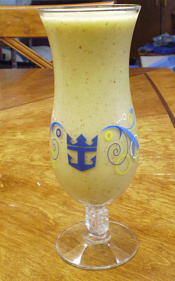 How does this pina colada fruit shake recipe compare? Think that’s not a big difference? 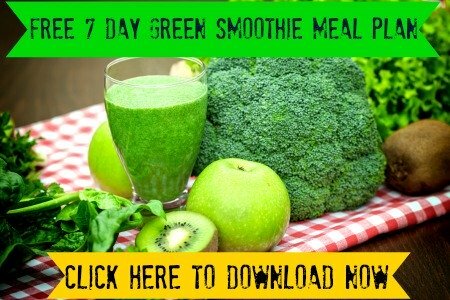 This smoothie has 25% less calories...for a drink that still tastes good, that’s not bad! But the calories count doesn’t tell the full story. The composition of these two drinks is very different. This pina colada tropical smoothie has 40% less fat, and most of the fat comes from the coconut milk which is a healthy source of monounsaturated fat (comes from nuts). It also has 25% less sugar, 5 times as much protein, and 9 times as much fiber! You can cut out even more of the sugar by using unsweetened coconut milk. The thing is, most of the sugar in this drink comes from fruit, which is a natural form of sugar that isn't as hard on the body as the syrupy artificialkind that comes in regular pina coladas. The Winner: Pina Colada Smoothie! To sum it up, this pina colada fruit shake is a healthy snack you can drink throughout the day. One serving (a cup) has almost two full servings of fruit, and about one full serving of leafy green vegetables. Can the alcoholic drink you order at the pool bar boast the same benefits? I think not...and I can pretty much guarantee it’s loaded with artificial flavors and processed sugar instead of fresh, natural, whole ingredients. That includes nutrients such as Vitamin A, Vitamin C, Iron, Calcium, and Potassium. Oh and the best part? A pina colada cocktail will probably cost you $8-$10 at the bar. And I’m pretty sure you can make this smoothie at home for $1 or less using ingredients you may already have in your kitchen. Is your mouth watering, ready to try a pina colada smoothie that’s both healthy AND delicious? If not, go back and read the above.